Drivers using Highway 407 and Highway 412 will start paying road tolls Feb. 1 to "help fund new infrastructure and transit projects." The province is also touting lower tolls on these routes compared to Highway 407 Express Toll Route. Drivers who take Highway 407 and Highway 412 will start paying road tolls on Feb. 1 to help fund infrastructure and transit projects, the Ontario government said. Minister of Transportation Steven Del Duca vowed to motorists in a news release that the money collected will be directly reinvested in Ontario roads. OPINION | What's with the road toll love-in? 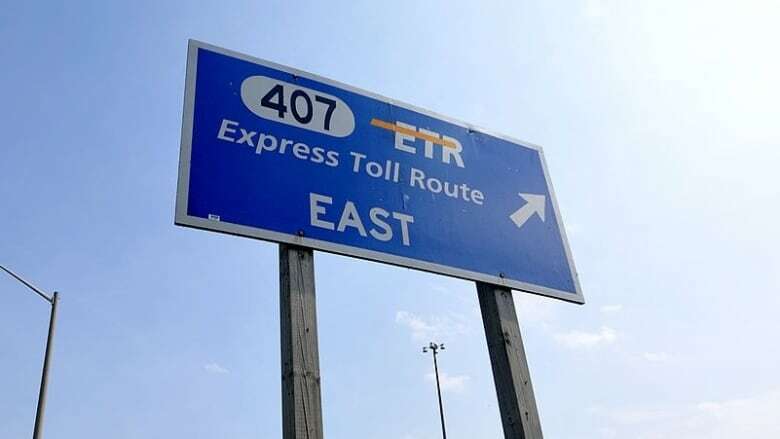 The province's section of the 407 runs from Brock Road in Pickering to Harmony Road in Oshawa and connects with the 407 Express Toll Route (ETR) — the privatized highway that runs across the city. Highway 412, meanwhile, connects the 407 ETR and Highway 401 in Whitby. The highways were completed last summer and the province has been testing the tolling infrastructure since. Drivers who use the highways will get one bill, which will be issued by the 407 ETR. Ontario said its tolls will be lower than those on the ETR and will also change based on time of day. Rates for Highway 407 and Highway 412 are about 15 per cent lower during off-peak periods and approximately 30 per cent lower during peak periods, compared to the ETR, the government said. Construction projects are currently underway to extend Highway 407 east from Harmony Road to Highway 35 and 115, and to connect Highway 407 and Highway 401 via the future Highway 418. The toll announcement comes after Toronto city council approved Mayor John Tory's plan to put tolls on the Don Valley Parkway and Gardiner Expressway. What's with the road toll love-in?